Is your business facing some tough marketing decisions – like opening up in a new location, launching a new service, or repositioning your brand to compete in a crowded marketplace? Wouldn’t you like to have some solid research to support your decision making? When you need to understand things like the level of trust that consumers have for your brand, or how your members view your organization, you need to have some reliable numbers. We can gather those numbers for you using telephone and online surveys that provide statistically reliable information to support your communications planning. Working with our partners at Oraclepoll Research, Pier 8 Group can reach all markets in Canada and the U.S. Our experienced telephone interviewers use the most advanced research technology and are thoroughly briefed on the issues relevant to your project before the survey even begins. Our multilingual call staff are fluently bilingual in English and French and also provide coverage for a wide range of other languages. When the work is completed, we’ll give you a detailed summary report that helps you to understand the meaning behind the numbers. Knowing WHAT people think about an issue tells us part of the story, but sometimes we also want to understand WHY people have certain attitudes and opinions. To achieve this, we may conduct personal interviews with key stakeholders, organize consumer focus groups, or undertake community engagement sessions and town hall meetings. These two-way communication techniques allow members of your target audience to talk in more detail about their attitudes and concerns, which in turn will help you to understand why they have the opinions and preferences they do. What do your customers and stakeholders really think about your brand? If they love it, then brand research will tell you WHAT they love. If they don’t understand it, you’ll learn WHY they’re confused. Using surveys and personal interviews, we can help you to identify your brand strengths and weaknesses so you can retool your marketing strategy to achieve greater success. Is your marketing achieving the desired results? Do you have the marketing tools to do the job? Pier 8 Group can conduct a communications review that looks at all your communications practices and key marketing and sales tools, including your website, social media, email marketing, brochures and media relations. This review will help you to understand how your current communications practices stack up against the competition. It will also identify gaps in your planning process, inconsistencies in your brand presentation, and things that just need to be “fixed” to improve your communications. Wouldn’t you like to know what others in your industry are doing to communicate with their stakeholders and customers? 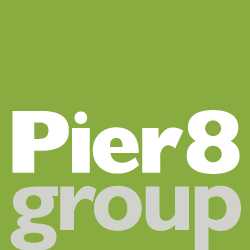 Pier 8 Group can help you to identify marketing initiatives and techniques that are generating success for your competitors. We’ll look at everything from digital marketing strategies to customer retention techniques that you can use to improve your own communication practices. 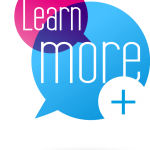 We can also review publicly-available research from academic and industry sources that may provide insights you can use to improve your results. Need to know what people think about your organization? There’s a simple way to find out: just ask them! But should you do an online survey or a telephone poll? The answer might surprise you. Read our blog post, Online Versus Telephone Surveys to learn more.